After much anticipation and the demand of a huge number of Andy Stanton fans, the complete, unabridged Mr Gum series will be published by BBC Digital Audio on September 6th 2018. This bumper box set includes: You’re a Bad Man, Mr Gum! ; Mr Gum and the Biscuit Billionaire; Mr Gum and the Goblins; Mr Gum and the Power Crystals; Mr Gum and the Dancing Bear; What’s for Dinner, Mr Gum? ; Mr Gum and the Cherry Tree; and Mr Gum and the Secret Hideout. 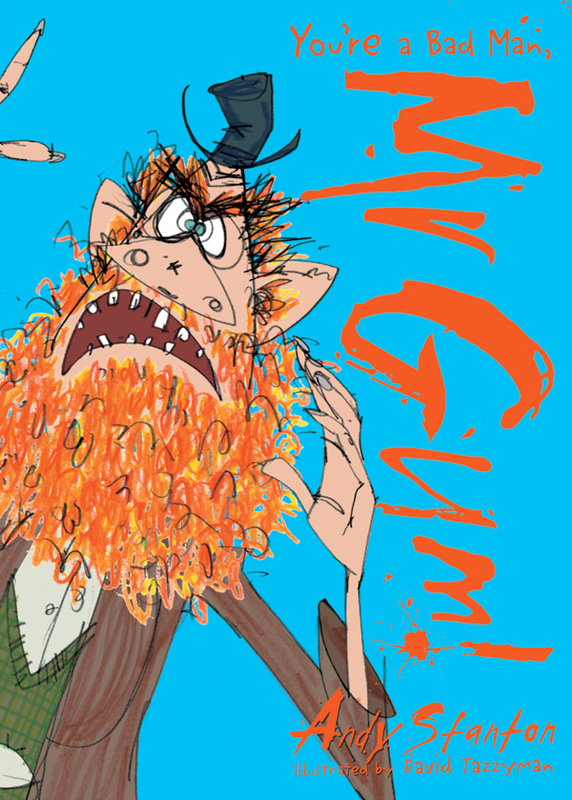 Described as the craziest, funnest, most amazing books for children in the world, the internationally best-selling Mr Gum series has won everything from the Blue Peter Book Award (twice) to the Roald Dahl Funny Prize and the Red House Children’s Book Award. And the real treat is that these eight stories are read by Andy himself, with specially recorded music and sound. Follow Andy on Twitter here.